Coming June 8, 2019. Get ready for the world’s original road race exclusively for women! It’s the NYRR New York Mini 10K, founded in 1972 and named for the miniskirt. A popular race with over 8,000 runners, ranging from the elite athletes to the first-timers, the goal of the race is to “empower women of all ages and fitness levels to come together, be active and accomplish a running milestone”. The course is a hilly one, as you run through Central Park with lots of cheering fans along the way. Though it does tend to be hot and humid in the NYC summer, there are plenty of water stations and sprinklers scattered throughout the course for a welcome cooling spray. 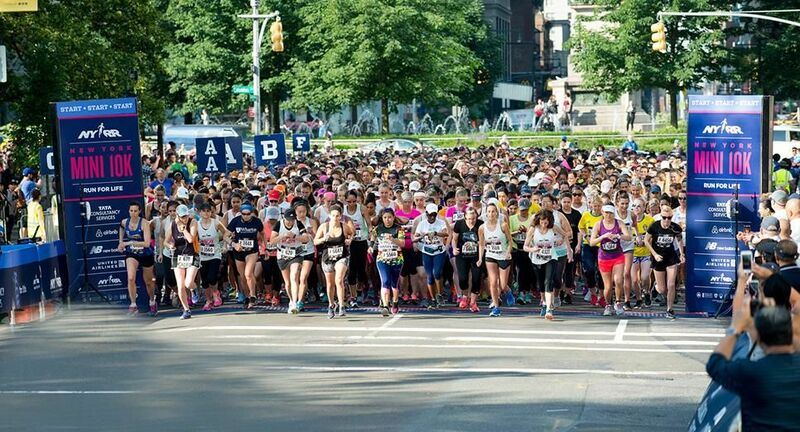 You don’t have to wear a miniskirt to run in the NYRR New York Mini 10K, but it might be fun!